Prepare your children to stand strong in this age of questions and contradictions. David and Goliath. Noah and the ark. Jonah and the whale. Children love stories of Bible characters. Yet they need more than just the stories. They need to understand the truths that lie behind these stories. Truth that will answer tough questions such as: Who is God? What if I'm a Christian and I still sin? What does God want me to do? Why did Jesus have to die? How will I know if others love Jesus? For many years, Ken Taylor has been giving children this biblical foundation through his books. While containing profound truth, they are written in simple and plain language that kids can understand. 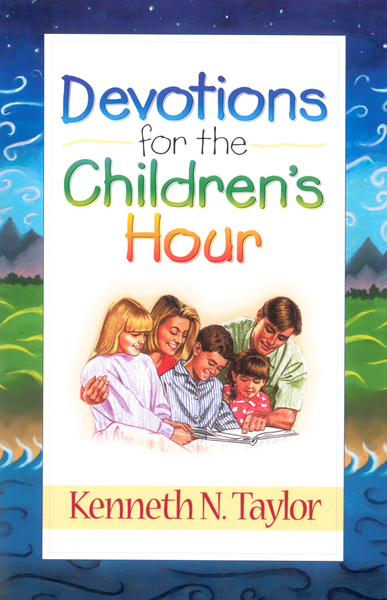 Full of stories and straight talk and complete with suggested Bible reading, questions for thought, relevant prayers, and songs to sing, Devotions for the Children's Hour will give your children the head start they need to stand on the Rock of Salvation in this shaky world.